John McCain, a longtime politician and Vietnam War hero, died on Aug. 25, 2018, at age 81. He will be remembered for his service to his country, bipartisan friendships and shifting approach to faith on the campaign trail. McCain was raised in the Episcopal Church, attending multiple worship services each week at his Episcopal high school. After marrying Cindy Hensley McCain in 1980, he began attending North Phoenix Baptist Church. His religious background caused some confusion during his presidential campaigns. McCain identified himself as Episcopalian on his campaign website but said he was Baptist during a September 2007 interview. A few days later, he tried to clarify the remarks, saying that the most important thing was that he was Christian. For the most part, McCain avoided discussing his faith on the campaign trail, preferring to focus on his military service and political career. During his run for president in 2000, he criticized some leaders in the religious right who he said used religion to divide the country instead of unite it. “Neither party should be defined by pandering to the outer reaches of American politics and the agents of intolerance, whether they be Louis Farrakhan or Al Sharpton on the left, or Pat Robertson or Jerry Falwell on the right,” he said during a campaign stop in Virginia Beach, Va., in 2000, according to a transcript from CNN. Eight years later, McCain was much more willing to court powerful, evangelical Christian leaders. Campaign advisers, including Sam Brownback, now the ambassador-at-large for international religious freedom, helped him repair his relationship with this faith group. As Americans celebrate McCain’s legacy, here are resources to help you bring a religious angle to your coverage. Read “John McCain, War Hero, Senator, Presidential Contender, Dies at 81” from The New York Times on Aug. 25, 2018. Read “John McCain will best be remembered as GOP ‘maverick’” from The Arizona Republic on Aug. 24, 2018. Read “John McCain’s American Story: As seen by Arizona journalists who know him best” from The Arizona Republic on April 2, 2018. Watch “McCain” from Frontline PBS on April 17, 2018. Read “Prisoner of Conscience” from Vanity Fair in January 2007. Read McCain’s Promise: Aboard the Straight Talk Express with John McCain and a Whole Bunch of Actual Reporters, Thinking About Hope by David Foster Wallace, which was published in 2000. Read Faith of My Fathers: A Family Memoir by John McCain with Mark Salter, which was published in 1999. Read “John McCain, prisoner of war: A first-person account” from U.S. News & World Report on May 14, 1973. Read “Sen. 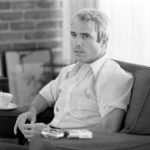 John McCain: Known as a veteran but also a man of quiet faith” from Religion News Service on Aug. 25, 2018. Read “John McCain helped build a country that no longer reflects his values” from The Conversation on June 12, 2018. Read “John McCain: No God but country” from Religion Dispatches on June 14, 2009. Read “How McCain shed pariah status among evangelicals” from NPR on Oct. 23, 2008. Read “Analysis: Is McCain finding his way on faith?” from CNN on Aug. 18, 2008. Read “The candidates on faith” from Time on Aug. 7, 2008. Read “McCain Extends His Outreach, but Evangelicals Are Still Wary” from The New York Times on June 9, 2008. Read “John McCain: keeping faith, on his own terms” from The Christian Science Monitor on Oct. 18, 2007. Watch “John McCain: Constitution established a ‘Christian nation’” from Beliefnet in June 2006. Read “McCain Condemns Pat Robertson” from The Associated Press on Feb. 28, 2000. Randall Balmer holds the John Phillips Chair in Religion at Dartmouth College in Hanover, N.H. He is an expert on American religious history and especially American evangelicalism and the role of religion in American presidential politics. He is the author of Evangelicalism in America, Redeemer: The Life of Jimmy Carter and God in the White House: How Faith Shaped the Presidency From John F. Kennedy to George W. Bush. Gary Bauer is president of American Values, a conservative advocacy organization, and a commissioner for the U.S. Commission on International Religious Freedom. He ran against John McCain during the 2000 presidential campaign but later helped him smooth tensions with evangelical Christian voters. Samuel D. Brownback is the U.S. ambassador-at-large for international religious freedom. He previously served as governor of Kansas, as well as a U.S. representative and senator. During John McCain’s 2008 presidential campaign, Brownback helped coordinate outreach to evangelical Christians. James Dobson is founder and former president and chairman of the board of Focus on the Family. In 2010, he founded a new ministry called Family Talk. Dobson was part of the group of evangelical leaders debating whether to endorse John McCain in 2008. John Fea is a professor of American history and chair of the history department at Messiah College in Grantham, Pa. Fea is the author of Was America Founded as a Christian Nation? : A Historical Introduction. He has spoken and written about religion’s role in John McCain’s political career. Contact: jfea@messiah.edu, 717-766-2511 ext. 2253. John C. Green is a senior fellow at the Pew Research Center’s Forum on Religion & Public Life, specializing in religion and American politics. He also serves as interim university president, director of the Ray C. Bliss Institute of Applied Politics and distinguished professor of political science at the University of Akron. James Guth is a professor of politics and international affairs at Furman University in Greenville, S.C. He has written widely on the emergence of Christian conservatives in the political arena. John Karaagac is a political scientist and senior lecturer at Indiana University. He is the author of John McCain: An Essay in Military and Political History. Russell Moore is president of the Southern Baptist Convention’s Ethics and Religious Liberty Commission. He expressed admiration for John McCain after the politician’s death and could speak about McCain’s complicated relationship with the evangelical community. Marlys Popma was John McCain’s national coordinator for evangelical and social conservative outreach during his 2008 campaign. She previously served as president of the Iowa Republican Party and currently sits on one of the state’s judicial nominating commissions, helping to vet judicial appointments. Popma is also the senior campaign director for CampaignHQ, a conservative call center in Brooklyn, Iowa. Elaine S. Povich is the author of John McCain: A Biography. She’s a longtime journalist and adjunct lecturer in journalism at the University of Maryland. Elizabeth Sherman is an assistant professor of American politics at American University in Washington, D.C. She recently wrote an analysis of John McCain’s legacy, exploring his views on the relationship between religion and politics, for The Conversation. Rick Warren is pastor of Saddleback Church in Lake Forest, Calif., and author of the best-seller The Purpose Driven Life: What on Earth Am I Here For? Warren took part in a televised interview with John McCain during the 2008 presidential campaign, during which the candidate openly addressed his religious background and beliefs.